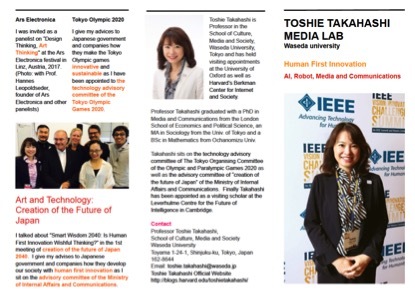 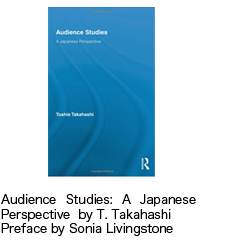 Toshie Takahashi is Professor in the School of Culture, Media and Society, Waseda University, Tokyo and has held visiting appointments at the University of Oxford, Harvard’s Berkman Klein Center for Internet and Society as well as the Leverhulme Centre for the Future of Intelligence, the University of Cambridge. She conducts cross-cultural and trans-disciplinary research on the social impact of robots as well as the potential of AI for Social Good. 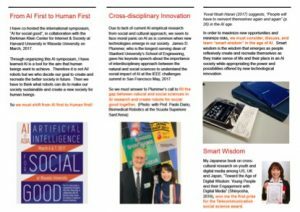 Her latest book, entitled “Towards the age of Digital Wisdom” (2016, Shinnyosha, in Japanese) is based on the collaborative project on “Young People and Digital Media” with the University of Oxford and Harvard’s Berkman Klein Center won the first prize for the Telecommunication social science award. 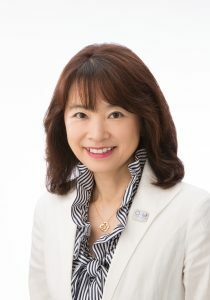 Finally, Takahashi sits on the technology advisory committee of The Tokyo Organising Committee of the Olympic and Paralympic Games 2020.